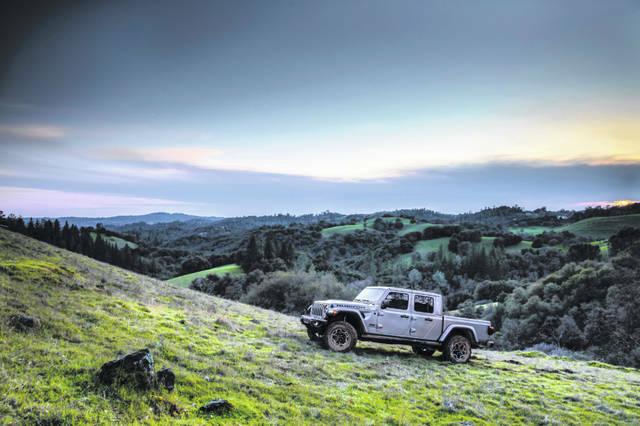 The preordered version of the 2020 JeepAE Gladiator Rubicon sold out in its first day of availability, on April 4. DETROIT — It’s hard to imagine a better way for Fiat Chrysler Automobiles to celebrate Jeep 4X4 Day than by selling a bunch of 2020 Jeep Gladiators. The entire run of 4,190 Gladiator Launch Edition pickups sold out April 4, according to the automaker. The Toledo-built Gladiator is FCA’s highly anticipated midsize truck revealed at last year’s Los Angeles Auto Show. Those who preordered a Launch Edition Gladiator — a “fully loaded Rubicon model with unique badging, wheels and interior accents” — will get a few extras, such as a “One of 4,190” aluminum tailgate badge. The number helps highlight the Gladiator’s birthplace in Toledo, where 419 is the area code. Those who ordered the edition will also be able to submit their own personal Gladiator videos for a chance to win $100,000 “so they can take the time off to enjoy the Jeep lifestyle of pursuing any outdoor adventure.” The videos will be judged by the company along with U.S. Army veteran Noah Galloway, a motivational speaker who lost two limbs and suffered other injuries during the Iraq War.